Pek215 wrote: Booked my room last night at the Ramada!! This will be my first year, cant wait!! Did you see our ad in the august issue of mini truckin? If so then you know to bring the magazine to the show and show us the add to win a can crusher. 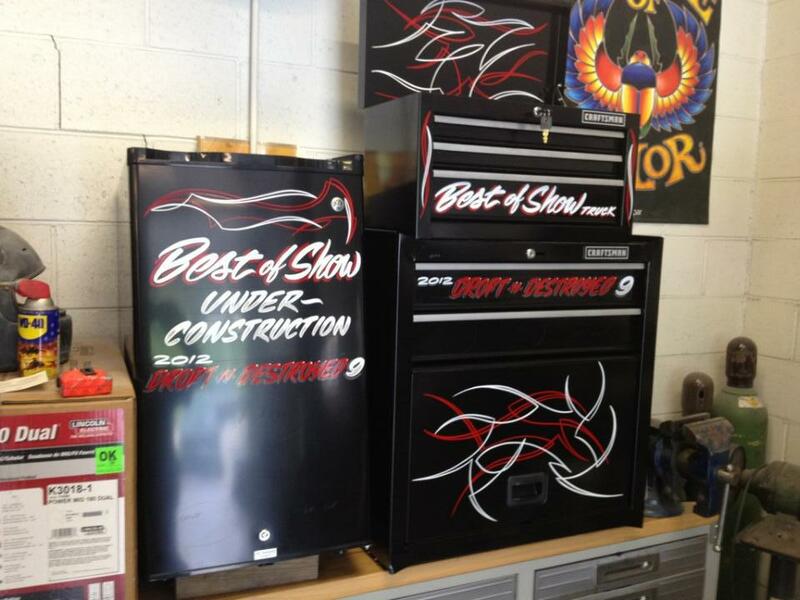 Also wanted to throw out there our best of show car and truck awards this year are craftsman tool boxes and the best of show under construction is a mini fridge! First timer here cant wait. staying at the Ramada if anyone wants to get there car or truck pinstriped before or after the show ill be around. ill also have some pinstriped art works in the auction. If you are in town Friday October 5, 2012 starting at 6pm at Horizon Audio 5480 Whipple Avenue Northwest, North Canton, OH 44720 we will start registration for the show. If your pre registered you may also come on by and pick up your passes to get it in. There will also be free food there. Saturday night at 6pm we will have the cruise-in at Quaker Steak & Lube 6081 Dressler Road Northwest Canton, Oh. This is open to any one coming out to the show and QS&l is having a discounted menu. If you are in town Friday October 5, 2012 starting at 6pm at Horizon Audio 5480 Whipple Avenue Northwest, North Canton, OH 44720 we will start registration for the show. If your pre registered you may also come on by and pick up your passes to get it in. There will also be free food there. Saturday night at 6pm we will have the cruise-in at Quaker Steak & Lube 6081 Dressler Road Northwest Canton, Oh. This is open to any one coming out to the show and QS&l is having a discounted menu. Click the flyer for access to class listings and hotel listings.